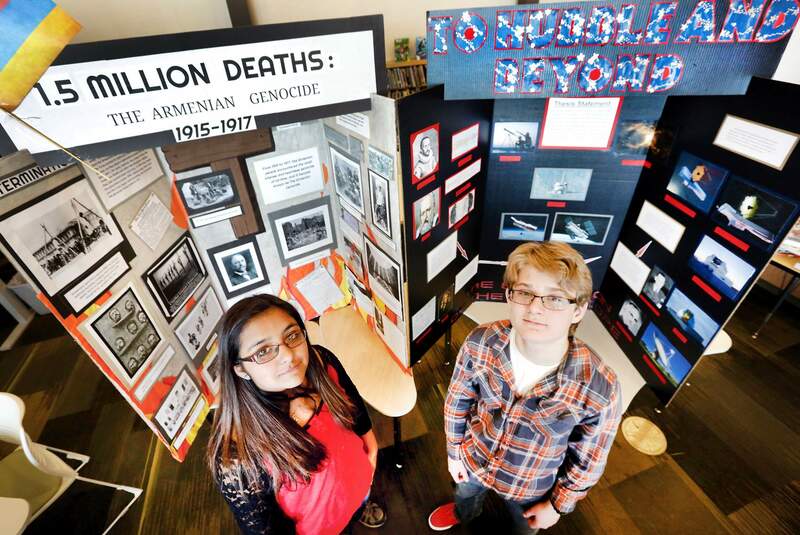 Ignacio Middle School student Brianna Henderson, 14, studied the Armenian genocide, while her classmate, Matthew Belleau, 12, took on the history of the telescope for his History Day project as seen Monday at the school. Both qualified to compete at state. Brianna is the daughter of Bea Valdez and Shane Henderson, and Matthew is the son of Heidi and David Belleau. 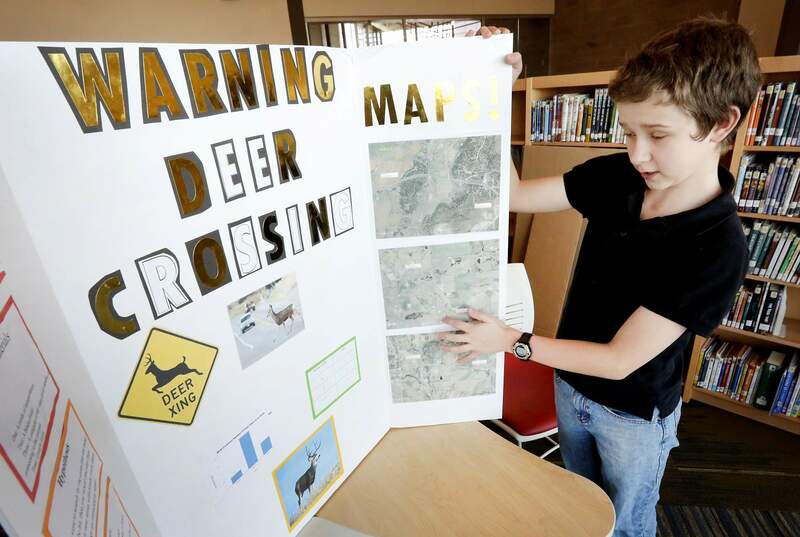 Ignacio Middle School student Jeffery Brittain, 13, explains his “Warning Deer Crossing” project on Monday at the school. His was one of three projects at the school to qualify for the state Science Fair. Jeffery is the son of Jennifer and Brian Boniface. Ignacio Middle School Destination Imagination team members from left: Anika Shideler, 13; Jaylene Riepel, 14; Santana Edd-Belin, 13; Kaytlynn Porter, 14; Makayla Miller-Peterson, 13; Victoria Riehl, 13; and Kyia Box, 13, qualified over the weekend to compete at the state level. Their success caps off the best year in IMS history, with students qualifying for state competitions in four different academic endeavors. IGNACIO – Ignacio schools often excel in sports, but academics have lagged, and the district has worked for years to improve performance. 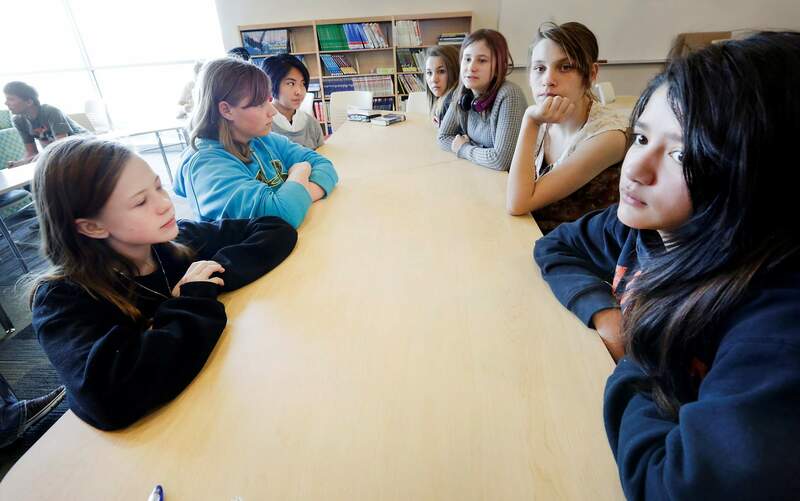 If Ignacio Middle School is any indication, they’re succeeding. Students at the school have qualified for four academic competitions in different content areas at the state level, including the Spelling Bee, Science Fair, History Day and Destination Imagination. What is the school doing that is paying off? How do you spell ...?More than 10,000 students from across the state participated in local spelling bees. 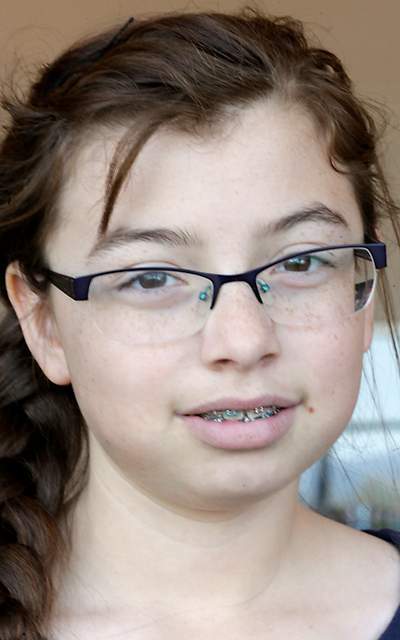 IMS student Emerald Owens spelled “deciduous” correctly to become one of about 280 to advance to the state Denver Post Colorado State Spelling Bee. Science FairThree Ignacio Middle School students qualified to go to the Colorado Science Fair in April. 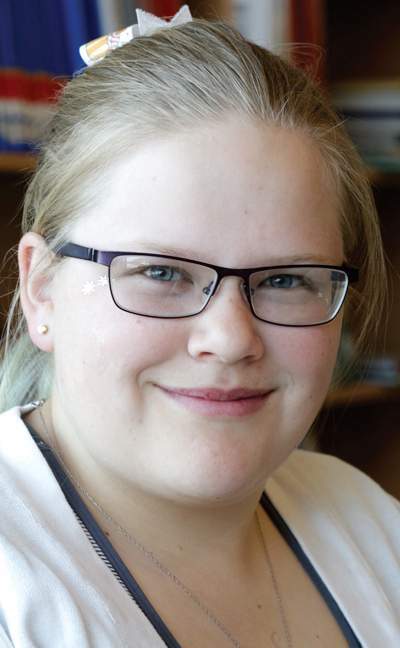 The success, deKay said, was because of a collaboration between language arts teachers working with them on writing while the science teachers helped them develop their projects. Another element was that students selected topics where they had a particular interest. 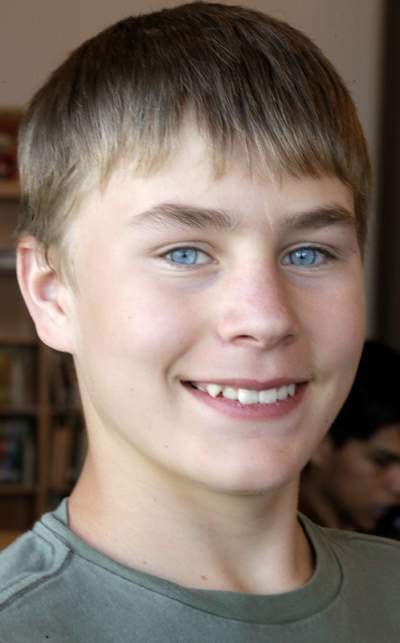 Jason Foutz, 14, wondered how accurate labels on beverages are regarding sugar content. The answer? It depended on the manufacturer. Pepsi and Mountain Dew were the big offenders, with both containing almost 10 grams more than on the label. Kourtney Schurman turned her love of rodeo into an analysis of horse strides by measuring their shoulders to their hooves. Using a video recording, she took a look at her family’s three horses, Cayenne, Marbles and Bubbles. Cayenne, with the smallest shoulder angle, had the longest stride, she said, but Marbles is older, so that affected his shorter stride. History DayMatthew Belleau was one of three students to qualify for National History Day in Colorado in April. He combined his love of science and history to look at the development of telescopes, from Galileo to the James Webb Space Telescope, scheduled to be launched in 2018. Elco Garcia explored the Navajo code talkers from World War II, the only code the Japanese couldn’t break. And Brianna Henderson delved into the Armenia genocide by the Ottoman Empire during World War II, focusing on the religious aspects. ImaginingThe seven girls on Ignacio Middle School’s Destination Imagination Team qualified on Saturday to go to the state competition with their musical mashup. It was the first year the school had a team for the competition, DeKay said, and it was thanks to gifted and talented teacher Joseph Duffy. Makayla Miller-Peterson managed the team, which included Kyia Box, Victoria Riehl, Kaytlynn Porter, Anika Shideler, Santana Edd-Belin and Jaylene Riepel. 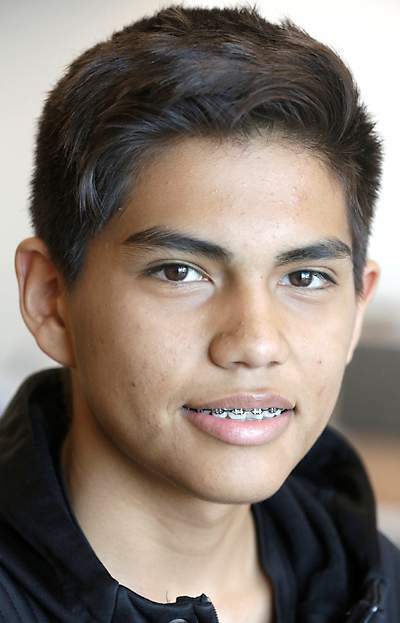 DeKay hopes the successes of the school’s eighth-graders portend good things to come.